After four years and three phases of construction, we’ve touched base on what WINGSPAN embodies. From sustainable practices to new additions, have you ever thought about the economic impact GSP has on the community? Check out the video below to learn more about GSP’s impact and more. Sneak peek: Did you know… GSP supports 8,577 jobs locally? For the past four years, GSP visitors have witnessed the second and most substantial wave of renovations in GSP’s history — WINGSPAN. Once completed, by the end of 2016, GSP International Airport will be positioned to accommodate up to 4 million passengers per year more than twice the 1,904,602 passengers that used GSP in 2015. Not only will GSP be able to accommodate more travelers, it will also be much more efficient and will have incorporated additional safety processes all done with the passenger experience in mind. Throughout the renovation process we have made every effort to use smart resources and solutions designed to result in long-term sustainability. 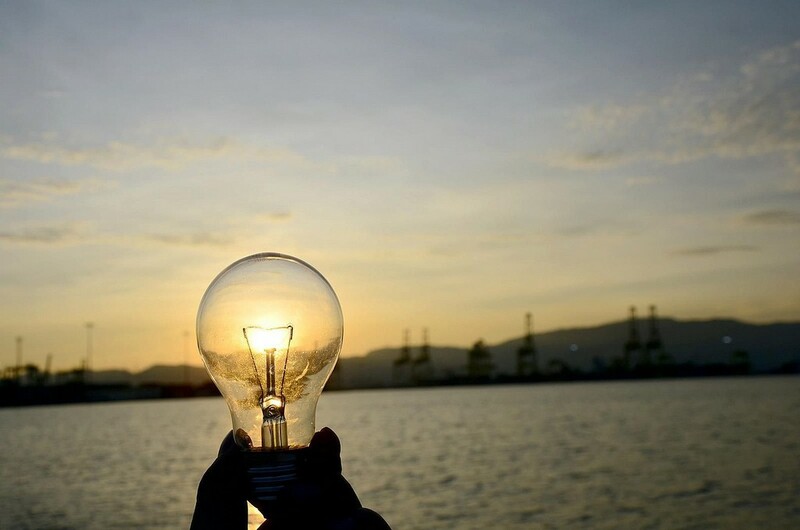 Examples of those efforts include the installation of Solar Water Heaters, a Rainwater Harvesting System and a Day Lighting System just to name a few. GSP always strives to be a good steward of the environment. Our GSP Family has remained patient with us throughout this process and for that we say a heartfelt…THANK-YOU! Please continue to provide us with your valuable feedback. To take a look at what we’ve been working towards, check out the short video below! 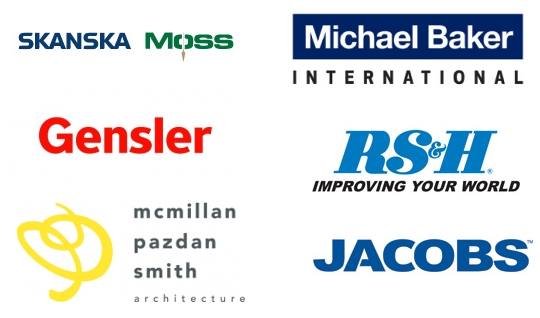 We would also like to thank our key partners for making GSP’s dream a reality and more. To learn more about our key partners, visit the WINGSPAN website. WINGSPAN has continuously incorporated sustainable architectural systems throughout the airport’s renovation process. From solar water heating systems to tree harvesting, GSP has made long-term sustainability a top priority. These energy efficient efforts in the airport’s architecture have truly made it unique in both appearance and function, enhancing the experience for all visitors. Upon arrival, these sustainable architectural features can be seen during the drive to the curbside drop off area, where the airport’s glass facade and canopy illuminate its entrance. Extending over 700 feet, the facade acts as a passive daylighting system using natural light to reduce electrical requirements. In addition, the canopy extends 27 feet over the drop-off area to ensure visitors can exit their vehicles while being protected from the sun. What is a passive daylighting system? Well, it is one of two main types of daylighting systems: passive and active. Both produce benefits greater than just energy efficiency. Studies have shown that increased exposure to natural sunlight in the workplace can benefit general health, memory and productivity. The main difference in the two, is that active daylighting tracks and follows the sun using mechanical devices; while passive daylighting uses static, non-moving objects to collect natural sunlight. In addition to allowing more natural light, WINGSPAN renovations have also included a lighting automation system. This type of system is designed to automatically shut off lights if no movement is detected, monitoring and controlling lighting throughout the airport. This system further reduces unnecessary energy use. To learn more of how GSP is keeping long-term sustainability in mind, read the past posts on sustainability! Long-term sustainability is a key part of WINGSPAN’s renovations. The integration of various sustainable practices has made for a more efficient and environmentally friendly way of flying within our surrounding area with the goal of instilling the “Green” into Greenville. One practice we have instilled over the construction period that dates back to ancient Egypt and Rome has been rain water harvesting systems. In lieu of tapping into local water systems, the rain water harvesting system that WINGSPAN incorporated into the airport renovations is designed to collect rain fall, funnel the water to an onsite storage unit and store the water for long-term use. 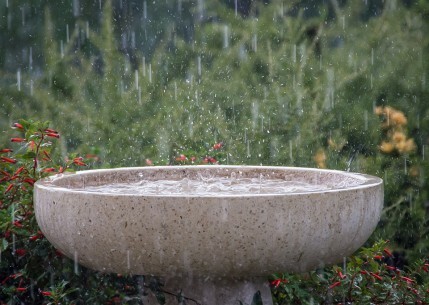 There are several advantages to rain water harvesting beyond lessening reliance on local water sources. Water that flows from our faucets requires processing to ensure that it is safe to use. This process is designed to meet the requirements and regulations set by the Environmental Protection Agency, which takes time, resources and can be costly. Rain water, on the other hand, is naturally softened, meaning it does not require the minerals, chemicals and contaminants that water processed for drinking requires. Rain water, when collected, stored and disinfected properly, eliminates some of the processing steps. GSP only uses the rain water in non-potable ways and not as a drinking source. The water harvested at GSP does not need to undergo the same extensive purification processes that drinking water requires, using less energy and less money. Stay tuned to learn more about how WINGSPAN is helping to preserve the natural beauty of the Upstate now and for years to come! This week, we can’t help but look at the past and see how far we have come. As WINGSPAN renovations are coming to an end in the fall of this year, we continue to look ahead. A lot has progressed since we first began WINGSPAN, but then again a lot has remained the same. Today GSP offers all of these eco-friendly renovations and we couldn’t be happier. 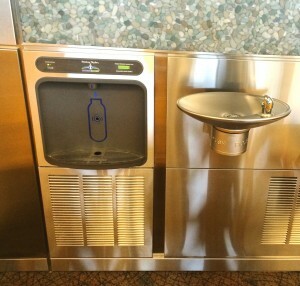 Along with keeping the airport sustainable includes adding water bottle filling stations. About a year or so into the program, GSP started working on adding water bottle filling stations to address the airport liquids ban that requires travelers to discard beverages before passing through the security checkpoint, and the environmental issue of disposable plastic water bottles thrown in the trash daily. Today these water bottle filling stations are being used daily by our passengers. So, in case you missed our sustainability efforts, we are here to keep you updated. Stay tuned for more updates and as always, safe travels. I don’t know if I’ve told you, but GSP is pretty much the greatest place in the whole entire world. From all the people I get to see and work with to all of these sweet updates and renovations happening, you can just tell that this is one special airport. 2. For more stressed-out travelers, there are massage chairs available. So you can work out those pesky knots in your shoulders and kinks in your neck. If I had shoulders and a neck, I would definitely post up in one of these bad boys all year long. 3. ‘Tis the season to catch a cold! Luckily, the airport has installed hand sanitizers throughout their terminal. Which is a great way to keep everyone here happy and healthy all the time and especially during their holiday travels. 4. 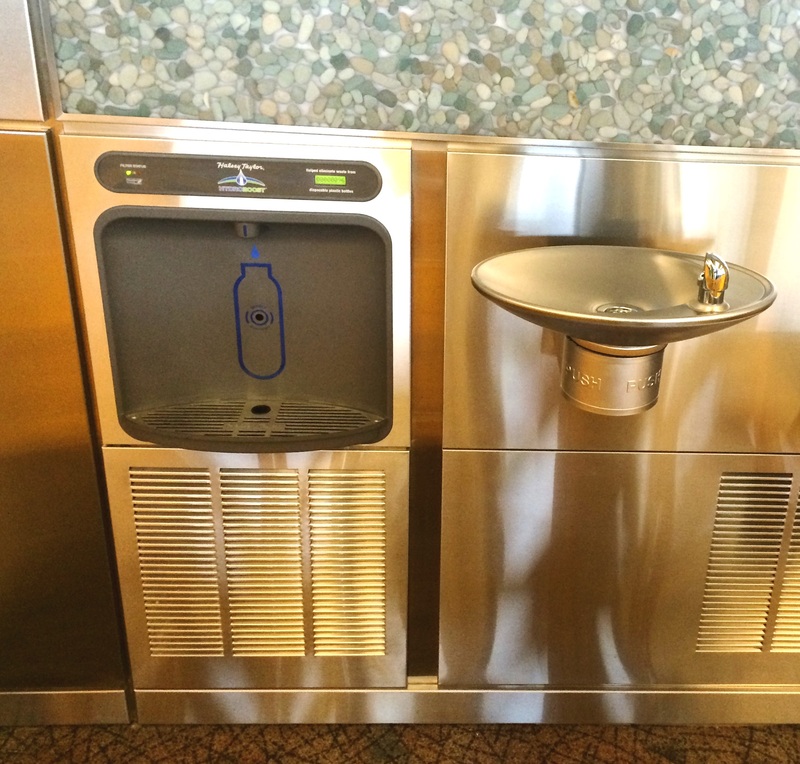 There are also six Halsey Taylor bottle filling stations throughout the airport, primarily located near our water fountains and restrooms. This is a great way for travelers to save money, help the environment and stay hydrated while traveling! That’s all I have for today, folks. Stay tuned for Flyer Fact Friday and keep an eye out for more airport updates from yours truly! The Greenville Spartanburg Airport District (“District”) is requesting ‘Expressions of Interest’ from professional artists who would like to compete for a commission of an art installation here at GSP. The inclusion of new artwork will be an important part of the renovated terminal – if you are interested you can read the full ‘GSP Art Program” report here. 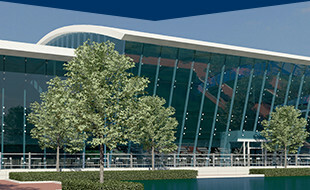 The Greenville-Spartanburg region, and in particular the airport, has made a commitment to landscape and water that is unique and distinctive. It is appropriate that this commitment is celebrated in one of the key themes that we have selected for the GSP art program. Historically the region achieved global recognition and stature as a center of textile manufacture, and it is therefore appropriate that this history forms another one of the key themes for the GSP art program. This theme is about the future of the region, and its pre-eminence as a North American center of technological innovation with specific reference to the automobile industry. This future state forms our third key theme for the GSP art program. There are a total of twelve potential sites where this artwork will be displayed. Read the full report here, and share with your favorite local artist. In 2013, Solar Impulse completed the first solar-powered flight across the United States, from Mountain View, CA to JFK International Airport in New York. Last April, the Solar Impulse team revealed plans for the Solar Impulse 2 – their newest aircraft that is able to fly around the globe using only the power of the sun. The single-pilot cockpit is almost ready, and in late February or early March, the team will launch the first ever around-the-world solar-powered flight. The plane will take off in Abu Dhabi and make several stops including India, China and the US before landing back in Abu Dhabi in August. 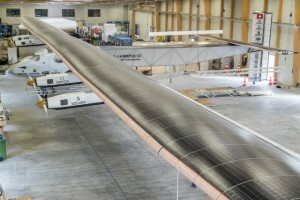 The aircraft has a 236-foot wingspan, weighs only 5,000 pounds, and uses more than 17,000 solar cells to power its four 17.4-horsepower electric motors. Pilots Bertrand Piccard and André Borschberg, the same team who piloted the North American flight, will be sharing flying time on this journey. The cockpit is unheated and non-pressurized, so this journey will be “more than a little uncomfortable” for the pair. Keep an eye on the skies in the next few months for this history-making flight! Have you seen our bottle filling stations? Don’t forget to pack your favorite reusable water bottle the next time you are traveling through GSP! We already have three Halsey Taylor bottle filling stations installed around the airport, and we will have a total of six by the end of construction. According to the Container Recycling Institute, a non-profit organization dedicated to reducing the environmental impact of beverage containers, Americans buy an estimated 28 billion single-serving plastic water bottles each year, with at least 8 out of 10 ending up in a landfill or incinerator. Not only do plastic water bottles cause unnecessary trash, the manufacturing process also uses a significant amount of natural resources, such as oil. In light of the growing concern about bottled water waste, coupled with travelers wanting to save money these bottle filling stations offer a great way to save money, help the environment and stay hydrated while traveling! Thirst no more, and happy travels! Natural light has begun to flow into the baggage claim and ticketing area of our terminal, and GSP passengers can now enjoy our glass façade from inside the terminal! As the glass façade continues to progress, construction crews have been taking down the temporary construction walls inside the terminal that separated travelers from the glass installation. Now travelers can begin to see the beautiful results of WINGSPAN as the new façade brings our beautiful campus into full view for passengers as they travel. The steel installation for the curbside canopy and the covered walkways is now complete and just waiting for its own glass to be installed. The curbside canopy and the covered walkway will be finished once the terminal glass façade installation is completed mid-July.